Added: Re: Catholicism in Cuba: "In 1962, the government of Fidel Castro seized and shut down more than 400 Catholic schools, charging that they spread dangerous beliefs among the people. In 1991, however, the Communist Party lifted its prohibition against religious believers seeking membership, and a year later the constitution was amended to characterize the state as secular instead of atheist." Added: In 2014, NJ Democrat Senator Menendez said Cuba "jails foreign business leaders without justification, violates international labor standards and denies its citizens their basic rights." "New Jersey Democratic Senator Robert Menendez expressed serious concern about the chamber's trip, fearing it would strengthen a government that "jails foreign business leaders without justification, violates international labor standards and denies its citizens their basic rights." Added: Two Dec. 2014 articles "Castro daughter: US 'dreaming' if they think Cuba will return to capitalism"
"Cuba will defend its socialist principles and will not return to capitalism just because it has agreed a detente with the United States, the daughter of President Raul Castro said, dispelling any notion that U.S. companies would be free to roll into Cuba. "The people of Cuba don't want to return to capitalism," Mariela Castro, a member of parliament, told Reuters on Friday. 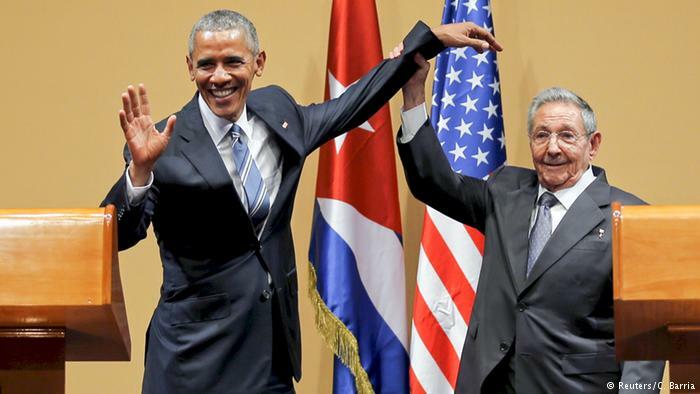 Cuba and the United States on Wednesday agreed to end more than five decades of animosity and re-establish full diplomatic relations. 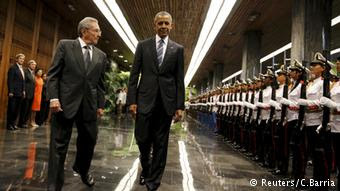 U.S. President Barack Obama also said he intends to remove some sanctions against Cuba and work with the U.S. Congress to end the economic embargo. But even if all U.S. barriers to Cuba were lifted, any U.S. companies would still need permission from Cuba's communist government to do business on the Caribbean island. "We've been at this 56 years and...we love saying that we are a country in revolution, trying to create socialism, and we form part of a single party called the Communist Party," Mariela Castro said. Under Cuba's foreign investment law, overseas companies are welcome but need to negotiate agreements with Cuban state companies or the government to do business. Cuba almost always demands a controlling stake, which has discouraged some companies from elsewhere in the world from investing. Imports to Cuba are administered by state holding companies, meaning that U.S. companies would not be able to simply find a buyer and ship goods in. "Sometimes people say Fidel is hard-headed, that the Cuban leaders are hard-headed, but experience has taught us something important, that we should never give in on our principles," Castro said outside parliament during a break in Friday's session."